See the best outfits and shoes worn by Stella Maxwell, a New Zealand fashion model born on May 15, 1990, in Brussels, Belgium. In 2016, she was voted No. 1 in 2016 Maxim’s “Hot 100 List”. 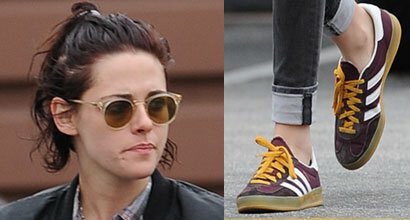 She wears shoe size 9 (US) and is dating Kristen Stewart.